This campaign is set ten years after a previous set of adventures (HERE). This is the sixteenth session of the current campaign (Session XV can be found HERE). It was an interim session conducted online. Last Session the party arrived at the Demon Moon Cult to join their faction in a three-sided sect war that had broken out. Kang, Long Shu and Zhi Zhu had left to find a prisoner at Golden Dragon Temple named Niang. She had a heart box of the Yao ((heartless martial experts under the emperor's control) and a blade that could kill Yao with a strike to the chest. Hunted by the Empire, she had killed several Yao and was trying to rescue her husband (a Yao himself). She heard rumors that the head of Zhaoze sect, Shan Lushan, used to be a Yao and that he was able to reverse the process. The party took her to him, and he agreed to help, but wanted a dual with Long Shu afterwards to settle his grudge with the Purple Cavern (Long Shu had cut off Lushan's head). While they were tending to Niang and Lushan, Princess Sarnai sent a gift to Lingsu in the Demon Moon swamp, a statue of Iron Sky Maiden made from red stone and turquoise. He felt a warm presence when meditating before it. But could not discern anything else about it. He asked Jade Priestess (a demon moon cult leader) to keep it somewhere for him safe and she agreed. Kang, Long Shu and Zhi Zhu returned to the Demon Moon Cult headquarters with Niang. Kang presented his glowing turtle figure (which he had acquired at the Pagoda of Golden Mercies where they first saw a statue of Iron Sky Maiden) and presented to the statue that Princess Samga had given. It began to glow brilliantly but nothing else occurred. Shan Lushan said he had a contact in Hai'an who can help them find Niang's husband. The contact was a man at the House of Paper Walls, a sort of society of Shadow Play Performers who are secretly working against the empire. It was still the Demon Moon and the journey there was plagued with hazards as a result. On their way to the House of Paper Walls, a bird spirit appeared on Lingsu's shoulder and whispered that Lady Plum Blossom was in danger. The spirit appeared as a blue swallow. Lingsu felt this to be true and told the party they had to go back. As they headed in the direction they had come from they crossed a bridge which collapsed and the group scrambled to leap from harm before falling (only Min fell, but was unharmed by the drop). Kang , who flew into the air to safety saw the blue swallow fluttered nearby and heading toward another bridge. Lingsu was still convinced that Lady Plum Blossom was in danger so Zhi Zhu confined him with arms of silk and Lushan played a melody on his flute to break the enchantment. After this they resumed their journey south east. 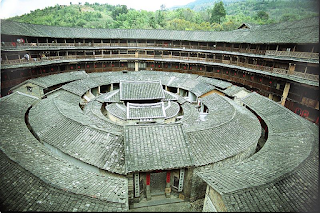 The House of Paper Walls was an enormous circular earthen round house. Zhi Zhu did not trust Lushan so she followed him into the round house and found herself in a hall of paper walls illuminated by a bright light. 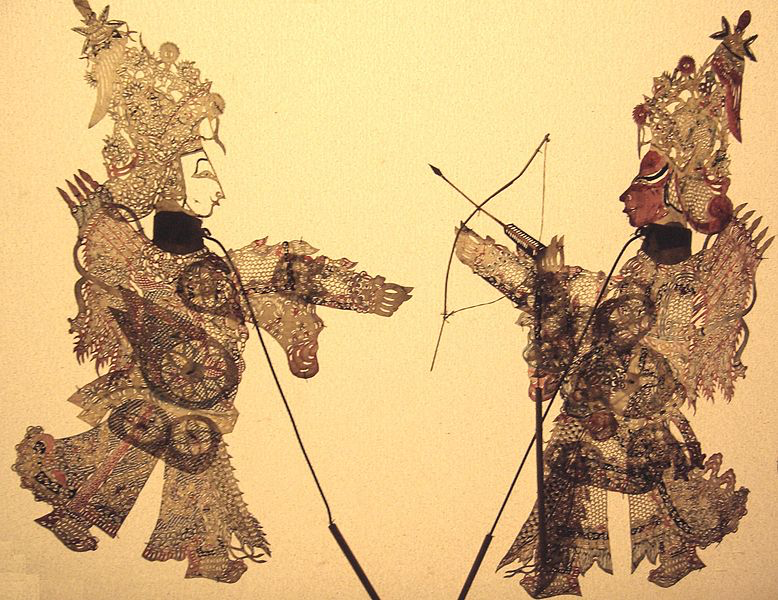 As she moved toward the inner chamber, leather shadow puppets appeared on the walls and began attacking her shadow. Her shadow limbs were severed, causing her real limbs to hang uselessly at her side. When they cut her shadow legs, she fell uselessly to the ground. Lushan and the head of the Society of Leather Shadows found her and brought her into the room where they were meeting. They apologized explaining such measures were necessary to ward off agents of the emperor. 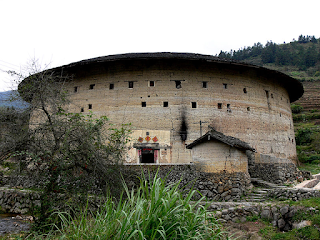 Lushan told them that Niang's husband and the heart boxes of all the Yao were in Yuzhing, a city in the southern imperial client state of Hu Qin (formerly northern Hai'an and the site of General Dou Lun's final battle against the emperor). They decided to head to a nearby town and attempt to take a ship from the river to the sea and to the port of Yuzhing. On their way north to Lu Hai they were crossing a river when a Snake Demon charged from a cluster of bamboo trees and attacked Kang. Zhi Zhu stopped its attack with Wall of Caltrops and Kang was able to bash it while Rong sent a Storm of Daggers at the creature. The Snake Demon was sliced by the daggers and died pinned to a caltrop. In Lu Hai they met a geomancer living on the outskirts and asked for a reading. They presented the heart box and asked where its owner was. He threw up some spade coins and looked at their arrangement on the ground, then said "North". They drugged and kidnapped the geomancer. Lady Plum Blossom had told them to kill any geomancer they hired for that service (she also said they could show mercy if he joined Purple Cavern). They dragged him to a junk that Lushan had procured and kept him heavily sedated. The junk arrived in Yuzhing. Lushan went to find one of his contacts and Zhi Zhu followed him. Lingsu and Min went to the site of General Dou Lun's last battle (a location they were able to find using a book they found below Ogre Gate Inn). Lingsu made an offering and felt the presence of the general in his mind. "You're in danger" the presence said*. He tried to ask questions and get more information but the presence vanished. Zhi Zhu followed Lushan into a building labeled The Dog and Rat Society. 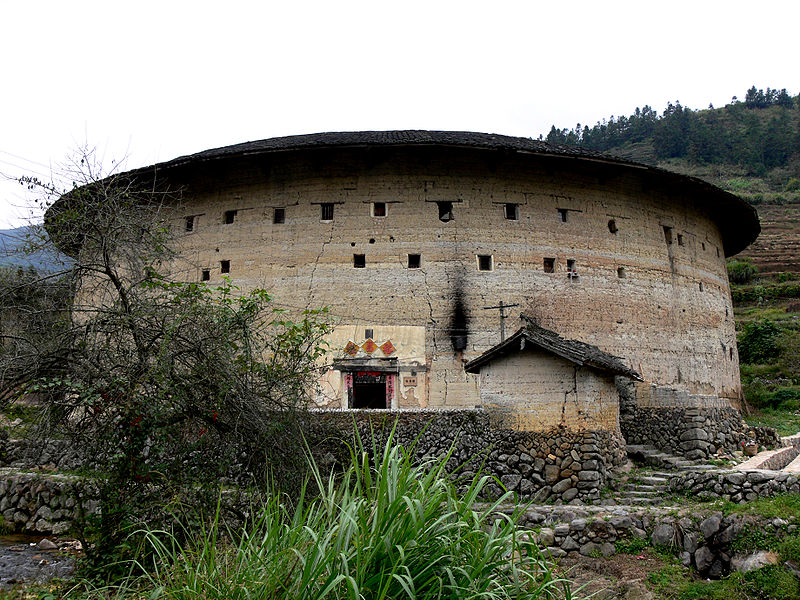 It had paper walls like the earthen round has did, but presented no threat to her as she spied on Lushan. She observed him talking to a man who said that the Heart Box was in General Dee's residence and that the husband was serving as a guard in the King's palace. He also informed Lushan that the King and the General would both be attending a banquet at the Southern Pavilion. Zhi Zhu looked closely at them and noticed Lushan and the man were using hand signals as some kind of code but couldn't decipher what the hand signals meant. The party regrouped in the their boat and decided to first strike at the General's residence, then tend to the husband in the palace. They approached the generals house, leaving Nuan and Niang outside just in case. Zhi Zhu scaled the roof and found a panel leading to a hall near where they believed the Heart Boxes to be. She went in and found a series of connected rooms with paper wall partitions. In one of them she saw a massive cabinet with drawers containing what looked like heart boxes. She returned to the rest of the party who used various means (Great Stride, Flight of the Hawk, etc) to enter the panel with Zhi Zhu without attracting notice from the guards in the courtyard. Inside they began to attempt opening the heart boxes when the sound of a suona horn came from the gardens outside and leather shadow puppets appeared on the wall. The moment this occurred, a great bared gate dropped across the entrance to the room they were in. Zhi Zhu, who was standing watch at the entrance, was able to leap into the opposite hall before the bars fell. 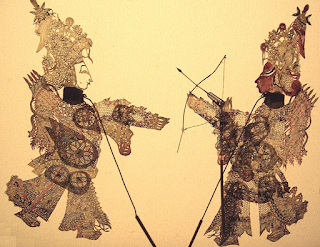 Lushan immediately struck at Lingsu with his flute but missed and Zhi Zhu used arms of silk to ensnare Lushan. Kang recognized Lushan's attack as Dog Beating Stick Technique. A battle broke out, with the leather shadows eventually paralyzing Rong's arms and Min's as well. Kang beat Lushan with his own Dog Bashing stick technique and the rest of the party threw flaming lamps at the walls, causing them to catch fire. This limited the ability of the nearby Shadow Puppets to harm them, but it also had the effect of casting the party's shadows in a number of directions and making them vulnerable to attacks from puppets in other chambers. Zhi Zhu used Arms of Silk to strangle Lushan, who fell to the ground and began to die. Lingsu and Kang worked together to force open the bared gate, and were able to hold it open while the others escaped. The party regrouped outside the General's residence and decided to flee from the city. *This event was due to Lingsu getting a Total Success on his Ritual (Ancestor Veneration) Skill roll.